All aboard! Get in the holiday spirit right here in Long Beach! 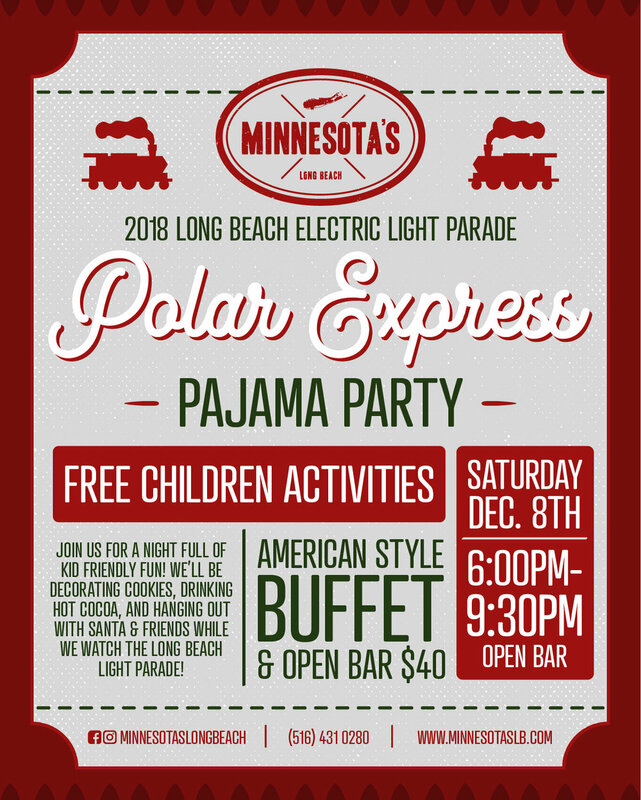 We'll be watching the Polar Express, decorating cookies, watching the tree lighting, and more! Santa will even be here with some of his friends from the North Pole! Kids get in free, adults are $40 which includes open bar and an American style buffet. Don't miss it!